Jute Handicrafts The raw material Jute is widely cultivated in all parts of India .Good number of jute handicrafts products are produced in various states state s of the country. Due to its availability widely mass production is possible resulting in generating rural employment in the villages . 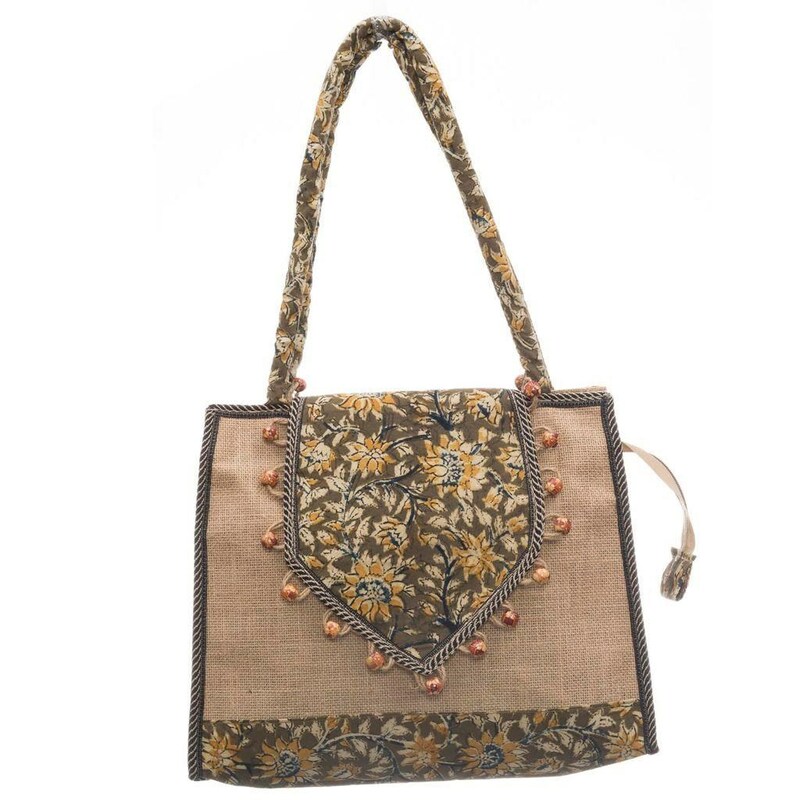 Demand for jute handicrafts is high across India and overseas as well. Highlights:- Jute products are also eco-friendly and hygienic besides being competitive in cost with respect to synthetic counterparts. The material by nature is easy to handle and maintain, perfectly safe for every one using them. Utility :- Can be used as a carry bag instead of a plastic back , office file , document holder etc .